India has sent its army to put down massive violent protests in a northern state bordering the country’s capital of New Delhi. The rallies already resulted in 10 deaths, disrupted industries and severely hit Delhi’s water supplies. The Indian federal government has deployed 4,000 troops reinforced with 5,000 paramilitary forces and police personnel to the country’s northern Haryana state that witnesses unending violent protests of the local Jat rural caste community. 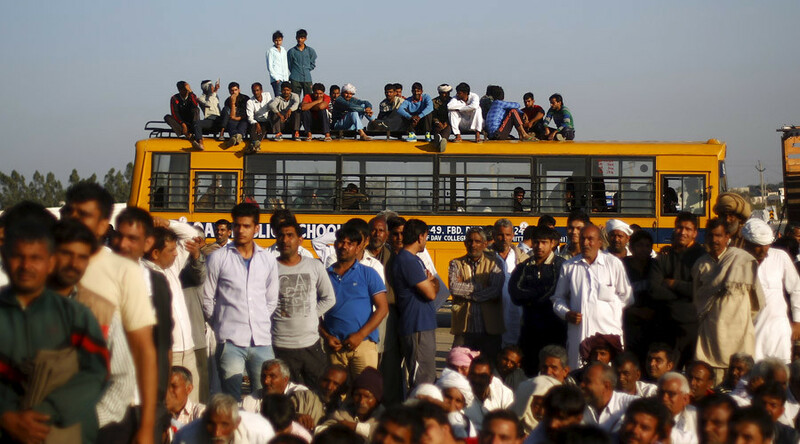 The Jats demand special quotas in the government jobs and educational openings. The rallies that started more than a week ago turned violent on Friday. As a result, 10 people have died and more than 150 have been injured since then, according to the Hindustan Times. The demonstrators torched vehicles and railway stations and attacked the homes of the provincial ministers. The also staged sit-ins on the railways, severely hitting train traffic and disrupting the movement of more than 800 trains, the daily newspaper reports. Authorities responded by imposing curfews on Saturday but the rallies continued. The protesters also locked down roads and highways throughout the state. In the city of Bahadurgarh located 2 kilometers from Delhi, some 2,000 Jats occupied a highway intersection stopping the traffic. The shops in the city were closed. The Ministry of Civil Aviation had to organize additional flights from the capital to the cities of Amritsar, Chandigarh and Jaipur in the country’s northwest. "We are here to die," Rajendra Ahlavat, 59, who is one of the protest leaders, told Reuters. "We will keep going until the government bows to our pressure. There is no way we will take back our demands." I appeal to all my fellow Haryanvis to maintain law & order in the State, and ensure that harmony is maintained in the society. On Sunday, Indian Home Minister Rajnath Singh met the Jat leaders at his residence in New Delhi and offered to meet their demands. The ruling Bharatiya Janata Party is also going to introduce a bill, which would grant a quota of government jobs to the Jats, in the state assembly, a party official told Reuters. On Saturday morning, the protesters seized a canal and sabotaged pumping equipment at a water treatment plant that provide from 60 to 70 percent of the Indian capital’s water demand, thus putting a strain on the metropolis with population amounting to more than 20 million. "Have directed all schools to be closed tomorrow due to water crisis. No water available now. Still no hope to get it," Deputy Chief Minister Manish Sisodia said in a tweet on Sunday. Have directed all schools to be closed tomorrow due to water crisis. No water available now. Still no hope to get it. The government ordered schools and administrative offices to close down on Monday in order to provide enough water for the army, emergency services and hospitals. The authorities also rationed water supplies to residents. Delhi’s water reserves could run dry by Sunday night if supply is not restored, The Times of India reported, citing Delhi Water Minister Kapil Mishra. In the meantime, Maruti Suzuki India Ltd, the country's largest car manufacturer by sales, said in a statement that it temporarily suspended manufacture at its factories in the towns of Manesar and Gurgaon located in the Haryana state that together produce about 5,000 cars daily, citing lack of necessary supplies resulted from the highway and railroad lockdown. 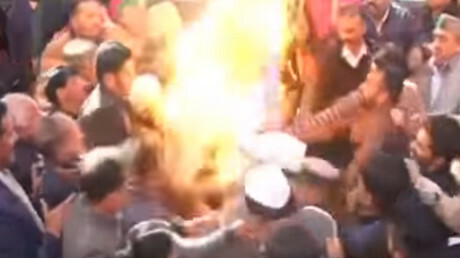 The ongoing Jat protests resemble a similar rallies staged by the Patel community in the state of Gujarat in 2015, when the demonstrators also demanded a greater share of government jobs and college places. India’s affirmative action system introduced in the 1990s was based on the country’s caste stratification system. Although legally abolished, the government provides lower castes, which are deemed to be socially and economically disadvantaged, with a number of benefits, including college and state job access quotas and welfare programs. Jats, who are an ethnic group living in several Indian states and comprising about 30 percent of the Haryana state population in particular, seek to be included in a special government list that would equal them to the lower castes and open them access to the state-provided benefit system. In March 2015, India’s Supreme Court already blocked the government’s attempt to include them in that list.